Preface: Financial experts have been debating since the start of the 2008 financial crisis whetherinflation or deflation is the bigger risk. That debate is beyond the scope of this essay. However, it might not be either/or. We might instead have “MixedFlation” … inflation is some asset classes and deflation in others. Quantitative easing (QE) was supposed to stimulate the economy and pull us out of deflation. But the third round of quantitative easing (“QE3″) in the U.S. failed to raise inflation expectations. Nearly a decade after Japan’s central bank first experimented with the policy, the country remains mired in deflation, a general decline in wages and prices that has crippled its economy. The BOJ began doing quantitative easing in 2001. It had become clear that pushing interest rates down near zero for an extended period had failed to get the economy moving. After five years of gradually expanding its bond purchases, the bank dropped the effort in 2006. 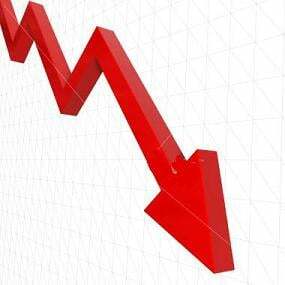 At first, it appeared the program had succeeded in stabilizing the economy and halting the slide in prices. But deflation returned with a vengeance over the past two years, putting the Bank of Japan back on the spot. So why didn’t quantitative easing work in Japan? Critics say the Japanese central bank wasn’t aggressive enough in launching and expanding its bond-buying program—then dropped it too soon. Others say Japan simply waited too long to resort to the policy. But japan has since gone “all in” on staggering levels of quantitative easing … and yet is still mired in deflation. The UK engaged in substantial QE. 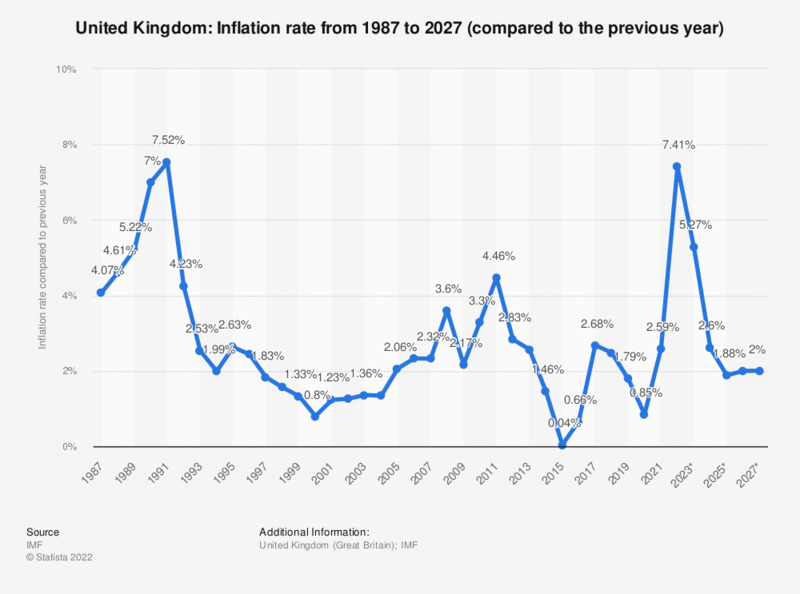 But inflation rates are falling there as well. And China engaged in massive amounts of QE. But it’s also falling into deflation. 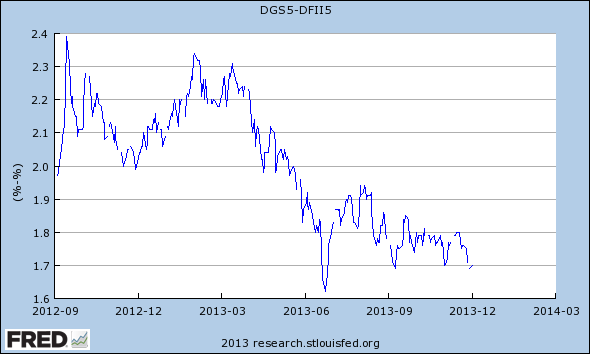 Indeed, despite massive QE by the U.S., Japan and China, there is now a worldwide risk of deflation. So why hasn’t it worked? The question is why the world economy cannot seem to shake off this “lowflation” malaise, even after QE on unprecedented scale by the US, Britain, Japan and in its own way Switzerland. Narayana Kocherlakota, the Minneapolis Fed chief, suggested as far back as 2011 that zero rates and QE may perversely be the cause of deflation, not the cure that everybody thought. This caused consternation, and he quickly retreated. Stephen Williamson, from the St Louis Fed, picked up the refrain last November in a paper entitled “Liquidity Premia and the Monetary Policy Trap”, arguing that that the Fed’s actions are pulling down the “liquidity premium” on government bonds (by buying so many). This in turn is pulling down inflation. The more the policy fails – he argues – the more the Fed doubles down, thinking it must do more. That too caused a storm. The theme refuses to go away. India’s central bank chief, Raghuram Rajan, says QE is a beggar-thy-neighbour devaluation policy in thin disguise. The West’s QE caused a flood of hot capital into emerging markets hunting for yield, stoking destructive booms that these countries could not easily control. The result was an interest rate regime that was too lax for the world as a whole, leaving even more economies in a mess than before as they too have to cope with post-bubble hangovers. The West ignored pleas for restraint at the time, then left these countries to fend for themselves. The lesson they have drawn is to tighten policy, hoard demand, hold down their currencies and keep building up foreign reserves as a safety buffer. The net effect is to perpetuate the “global savings glut” that has starved the world of demand, and that some say is the underlying of the cause of the long slump. “I fear that in a world with weak aggregate demand, we may be engaged in a futile competition for a greater share of it,” he said. The Bank for International Settlements [the “central banks’ central bank”] says the world is suffering from addiction to stimulus. “The result is expansionary in the short run but contractionary over the longer term. As policy-makers respond asymmetrically over successive financial cycles, hardly tightening or even easing during booms and easing aggressively and persistently during busts, they run out of ammunition and entrench instability. Low rates, paradoxically, validate themselves,” it said. Claudio Borio, the BIS’s chief economist, says this refusal to let the business cycle run its course and to purge bad debts is corrosive. The habit of turning on the liquidity spigot at the first hint of trouble leads to “time inconsistency”. It steals growth and prosperity from the future, and pulls the interest rate structure far below its (Wicksellian) natural rate. “The risk is that the global economy may be in a deceptively stable disequilibrium,” he said. Mr Borio worries what will happen when the next downturn hits. “So far, institutional set-ups have proved remarkably resilient to the huge shock of the Great Financial Crisis and its tumultuous aftermath. But could (they) withstand yet another shock?” he said. “There are troubling signs that globalisation may be in retreat. There is a risk of yet another epoch-defining and disruptive seismic shift in the underlying economic regimes. This would usher in an era of financial and trade protectionism. It has happened before, and it could happen again,” he said. A central bank that is deploying QE is almost certainly at the zero lower bound. 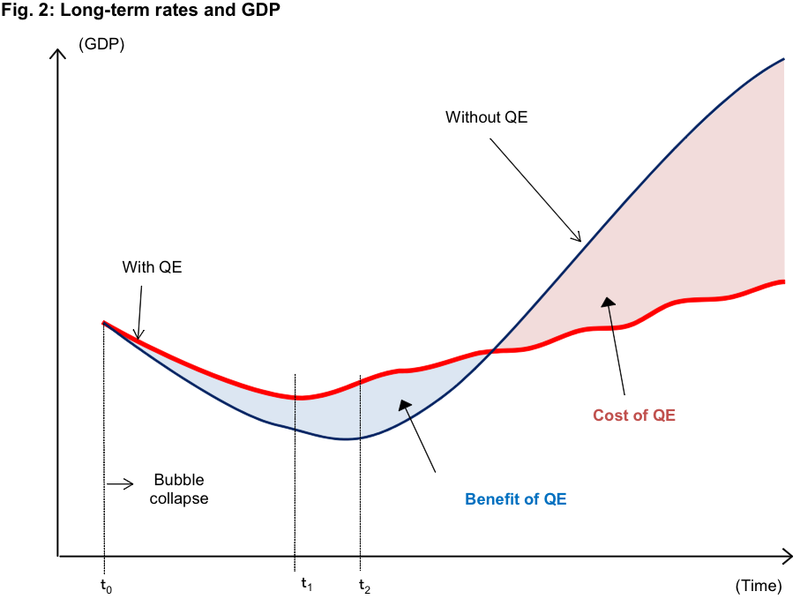 QE will only help get an economy off the zero lower bound if paired with a commitment to higher future inflation. If a central bank is deploying QE over a long period of time, that means it has not paired QE with a commitment to higher future inflation. Prolonged QE is effectively a signal that the central bank is unwilling commit to higher inflation. QE therefore reinforces expectations that economic activity will run below potential and demand shocks will not be completely offset. QE will be associated with a general disinflationary trend. Excess capacity is deflationary and the means to deal with it is to shut it down. Indeed, we expect China [which also engaged in massive QE] for now to exert deflationary pressure on the global economy. Unproductive investment is by nature ultimately deflationary. This is a point also worth recalling when investing in paper assets fuelled by QE liquidity and not underpinned by sustainable economic growth. 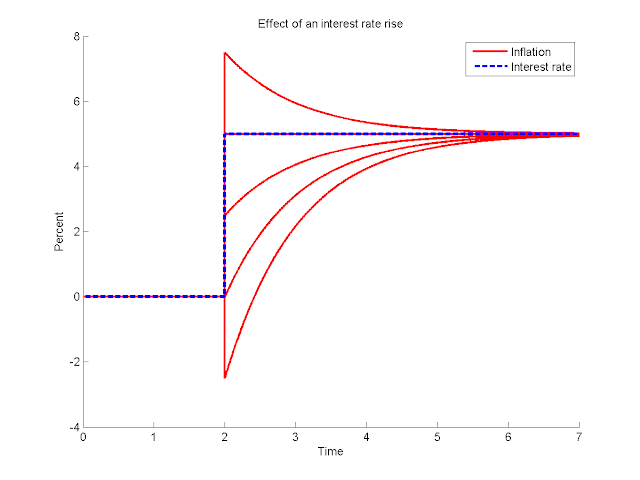 Here I graphed an interest rate rise from 0 to 5% (blue dash) and the possible equilibrium values for inflation (red). (I used κ=1 ρ=1 ). As you can see, it’s perfectly possible, despite the price-stickiness of the new-Keynesian Phillips curve, to see the super-neutral result, inflation rises instantly. Obviously this is not the last word. But, it’s interesting how easy it is to get positive inflation out of an interest rate rise in this simple new-Keynesian model with price stickiness. So, to sum up, the world is different. Lessons learned in the past do not necessarily apply to the interest on ample excess reserves world to which we are (I hope!) headed. The mechanisms that prescribe a negative response of inflation to interest rate increases are a lot more tenuous than you might have thought. Given the downward drift in inflation, it’s an idea that’s worth playing with. Cochrane has a simple explanation of the model’s key predictions on his blog. He hypothesizes that now that the Fed pays interest on the reserves that banks hold with the Fed, monetary policy will be even more Neo-Fisherian — i.e., even more perverse. Cochrane’s arguments are based on simple equations that are at the heart of most modern macroeconomic models. If the Neo-Fisherites are right, then everything the Fed has been doing to try to stimulate the economy isn’t just useless — it’s backward. Now, the overwhelming majority of empirical studies tell us that QE, and Fed easing in general, tends to raise inflation in the short term. But what if that’s at the cost of lower inflation in the long term? Japan has been holding interest rates at zero for many years, and its economy has been in and out of deflation. Massive QE has noticeably failed to make the U.S. hit its 2 percent inflation target. What if mainstream macroeconomics has it all upside down, and prolonged periods of low interest rates trap us in a kind of secular stagnation that is totally different from the kind Harvard economist Larry Summers talks about? Initially, long-term interest rates fall much more than they would in a country without such a policy, which means the subsequent economic recovery comes sooner (t1). But as the economy picks up, long-term rates rise sharply as local bond market participants fear the central bank will have to mop up all the excess reserves by unloading its holdings of long-term bonds. In countries that do not engage in quantitative easing, meanwhile, the decline in long-term rates is more gradual, which delays the start of the recovery (t2). But since there is no need for the central bank to mop up large quantities of funds, everybody is no more relaxed once the recovery starts, and the rise in long-term rates is far more gradual. Once the economy starts to turn around, the pace of recovery is actually faster because interest rates are lower. This is illustrated in Figure 2. Indeed, things which temporarily goose the economy in the short-run often kill it in the long-run … such as suppressing volatility. The original inventor of QE – and the former long-term head of the Federal Reserve– say that QE has failed to help the economy. Numerous academic studies confirm this. And see this. Economists also note that QE helps the rich … but hurts the little guy. QE is one of the main causes of inequality (and see this and this). And economists now admit that runaway inequality cripples the economy. So QE indirectly hurts the economy by fueling runaway inequality. A high-level Federal Reserve official says QE is “the greatest backdoor Wall Street bailout of all time”. And the “Godfather” of Japan’s monetary policy admits that it “is a Ponzi game”.